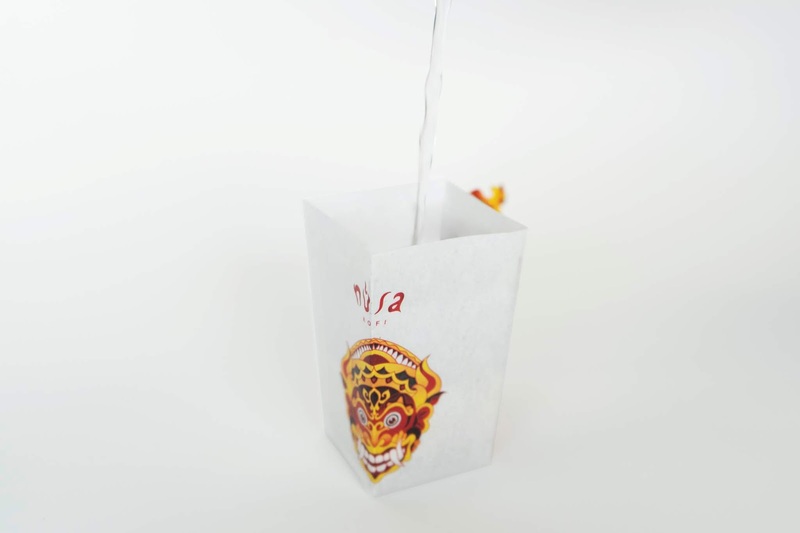 The Nusa Kofi is best described as a flat disposable coffee paper cup. Inside the looking of the flat shape, there is a freshly ground speciality Indonesian coffee mix. 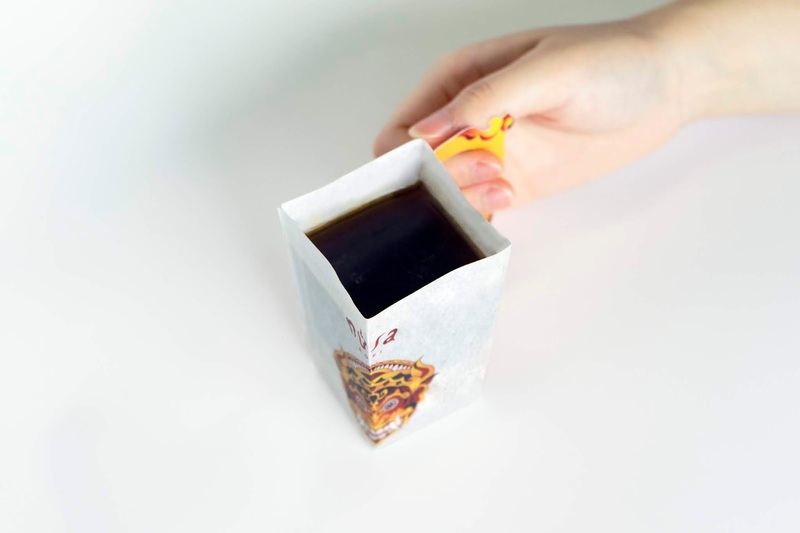 All you need is to tear the seal, pull out the handle smoothly to make it as a cup shape, pour approximately 200 ml of hot water into it, and the coffee is ready to enjoy. 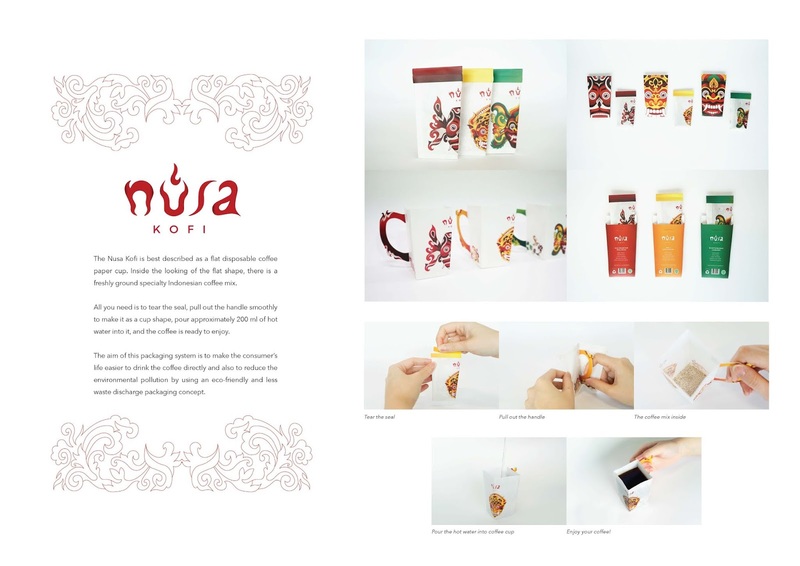 The aim of this packaging system is to make the consumer’s life easier to drink the coffee directly and also to reduce environmental pollution by using an eco-friendly and less waste discharge packaging concept. Background: Many people are rushing in their busy times when they needed coffee to start the day. 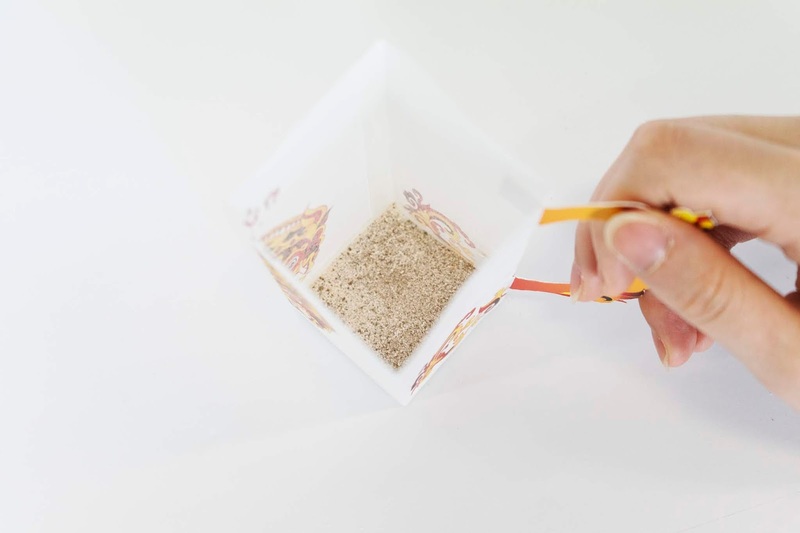 I came up with the idea of a flat paper coffee cup with the instant coffee mix inside for those who want to drink the coffee immediately by just pouring the hot water into the cup. I expect that this kind of packaging would make people’s life easier and give less pollution to the environment as well with the eco-friendly packaging concept. 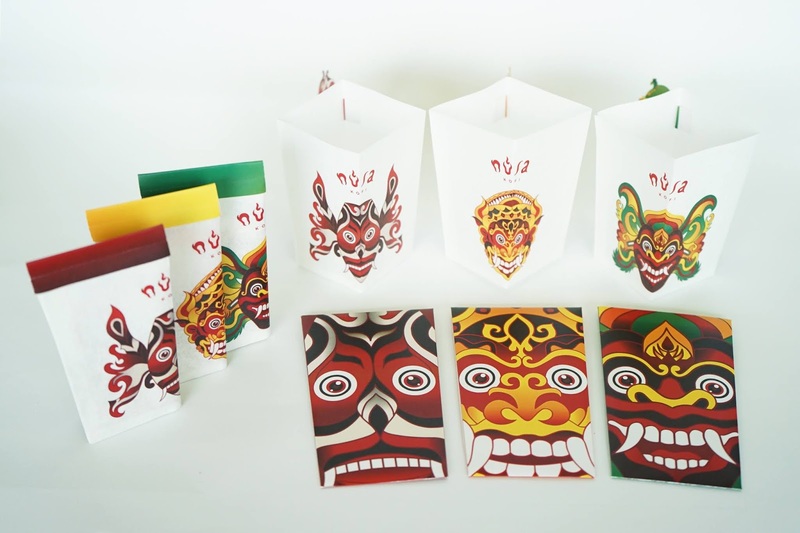 Development: The development process involved the testing out the concept physically started from making the right die cut lines, choosing the type of the paper, and thinking about the mechanism of the packaging to enhance the user experience. Making the physical mockups with different sizes and types of paper were needed as well to see the outcomes of the idea. The Type of Paper: The paper used for the coffee cup was the parchment paper. 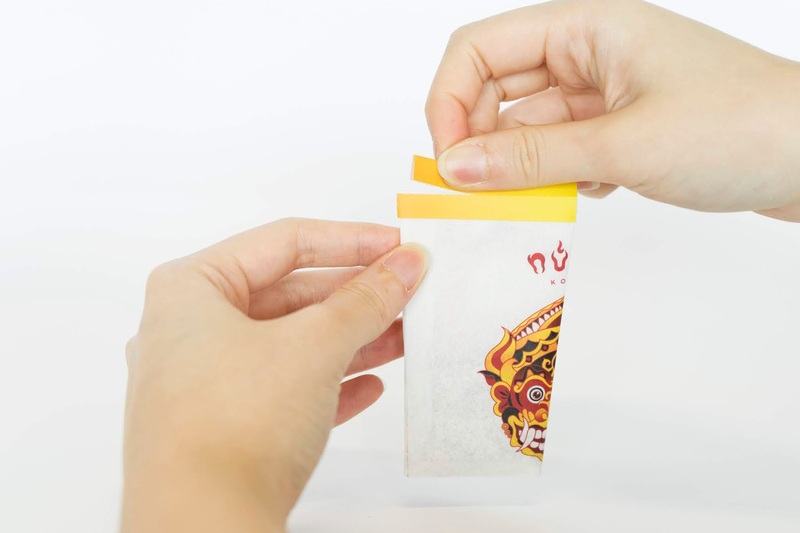 This natural and eco-friendly paper was great for those one-time-use situations. 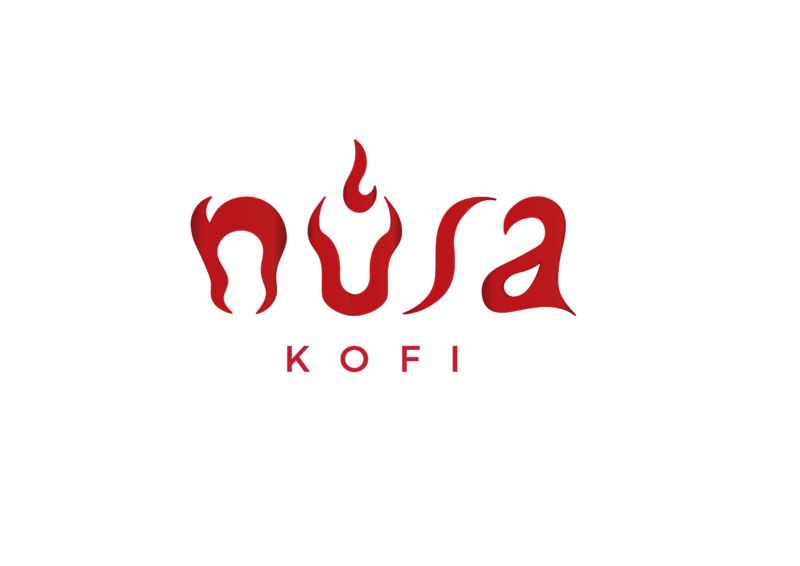 The Treatment Logo: The name Nusa Kofi is originated from the Indonesian words “Kopi Nusa.” Kopi means “Coffee,” whereas Nusa means “Homeland.” These two words are giving the meaning that this coffee is coming from the homeland of Indonesia. The logo was made by hand to give a sense of natural and originality. 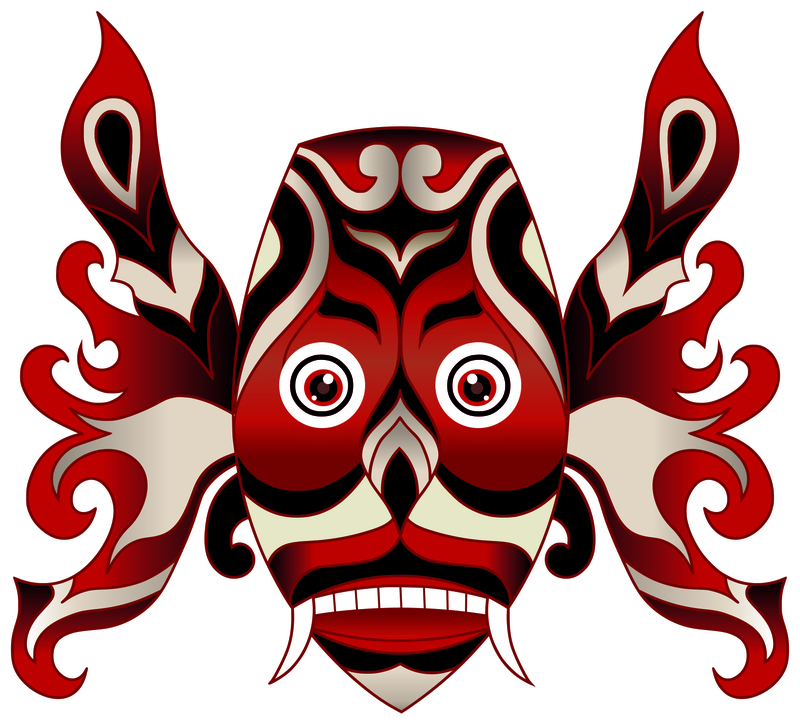 Graphics: The graphics are based on the mythology creatures that Indonesia has in every province. 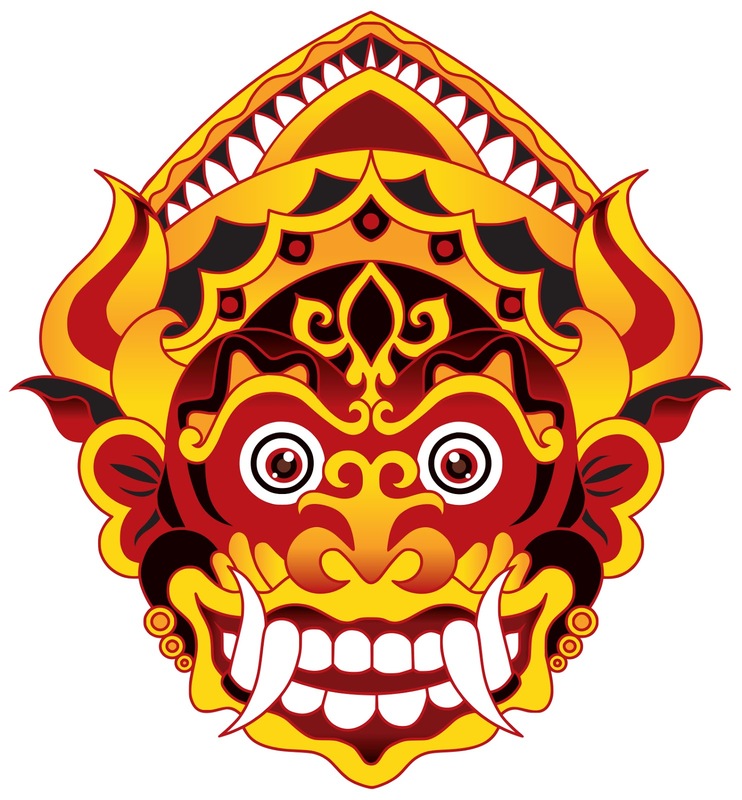 Malinau Coffee from East Kalimantan has Hudoq, Kintamani Coffee from Bali has Barong Ket, and Lanang Coffee from East Java has Barong Kemiren. Hence, there are three different graphics for each of the coffee based on their origins. 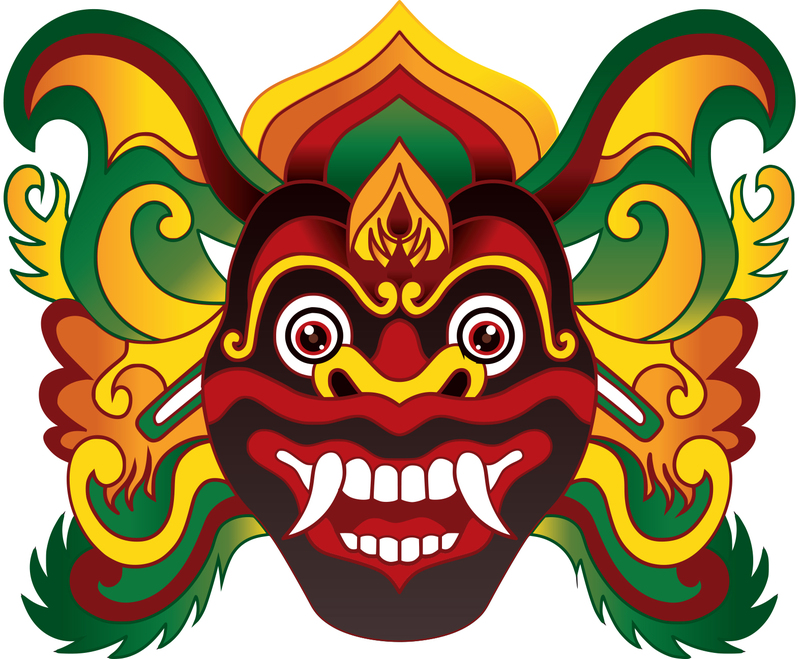 The main colour red, yellow, and green are inspired by the real colour of the creatures as well.